​The Gibbston Tavern sits in the heart of Central Otago in the deep south of New Zealand and has a rich history going back to the gold mining days of the 1800’s. The Tavern has recently changed hands and as the new owner and operator, I am excited to bring you a new menu including delicious platters of local produce and pizza options from our handcrafted pizza oven. We also offer a new beverage list that not only celebrates the best of local world class wines the area is famous for, but also a diverse range of local craft beers. ​We are open 7 days a week and would love to hear from you regarding your upcoming event so we can create a package just for you. We can cater to any sized function from birthdays to weddings. Contact us to discuss your next get together. I’m really looking forward to sharing the freshly updated Gibbston Tavern with you next time you’re passing. There is a long and colourful history of the Gibbston Tavern, including many familiar family names and characters. The following is an extract from “The Gibbston Story” by Anne Cook. 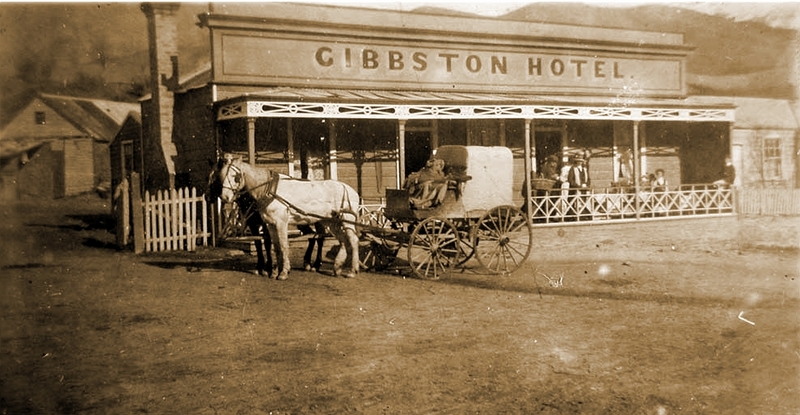 One establishment that did enjoy a first class reputation for hospitality was the Gibbston Tavern at Deep Creek. The single-storey wooden hotel, built in the gold rush days, catered for the many miners tramping the Cromwell-Queenstown road. It was situated near the foot of Coalpit Road on the licensed business area allowed by mining regulations. towards the hotel, the groom would rush out with a bucket of water for the lead horses: if the leaders were thirsty, usually the driver was, too. 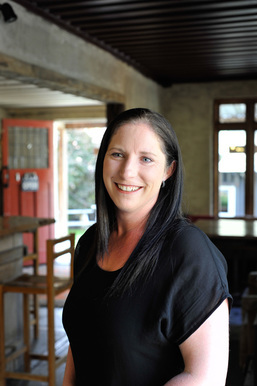 The Scheib Family, whose descendants still live in the Wakatipu area, owned the business in the early 1870s, as well as a coal-pit nearby and the tavern has changed hands several times over the years since. Disaster struck one windy day early in 1912 when sparks from live ashes were blown under the tavern's verandah and eventually set the hotel alight destroying it and the adjoining cottages. Whilst some original stone buildings dating back to the 1800's have survived, The Gibbston Tavern as it stands today was built in 2011. All onsite photography supplied by Sarginson Photography.